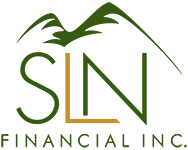 Avoid These Annuity Mishaps | SLN Financial, Inc. In retirement, annuities can be an essential part of your income strategy. They can provide guaranteed income for as long as you live, and are often a great way to supplement income from the likes of a pension or Social Security. However, that doesn’t mean there aren’t pitfalls you can find yourself in when it comes to annuities. Be on the watch, and avoid these annuity mishaps in retirement. Picking the wrong payout type. With immediate annuities, you’ll usually get the highest payout if you get a single-life version. The problem with this version, is if one spouse passes, their income will go away. That’s why it may be best to play it safe with a lower payout option that will continue on after death. Not comparing payout amounts. Always compare! There’s a surprisingly large range of payout, so make sure you know what you’ll be getting based on your age and payout type. Consult with your advisor to compare payouts from different insurers. There are many more annuity pitfalls, and we can help you avoid them. Give us a call and we can find the best annuity products that fit your retirement needs.